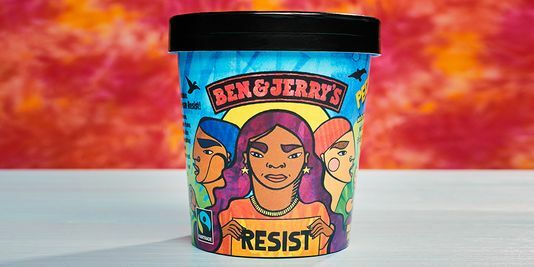 1stAmender - Ben & Jerry's Newest Flavor: Resist! Get Woke Go Broke! In today's political climate you have to take a look at a lot of the things in your life that you associate with positivity. For some of us, that happens to be Ben & Jerry's ice cream, easily able to associate pleasure receptors for a reasonable price. But oh wait! It looks like Ben & Jerry's brings up something from their sleeve! 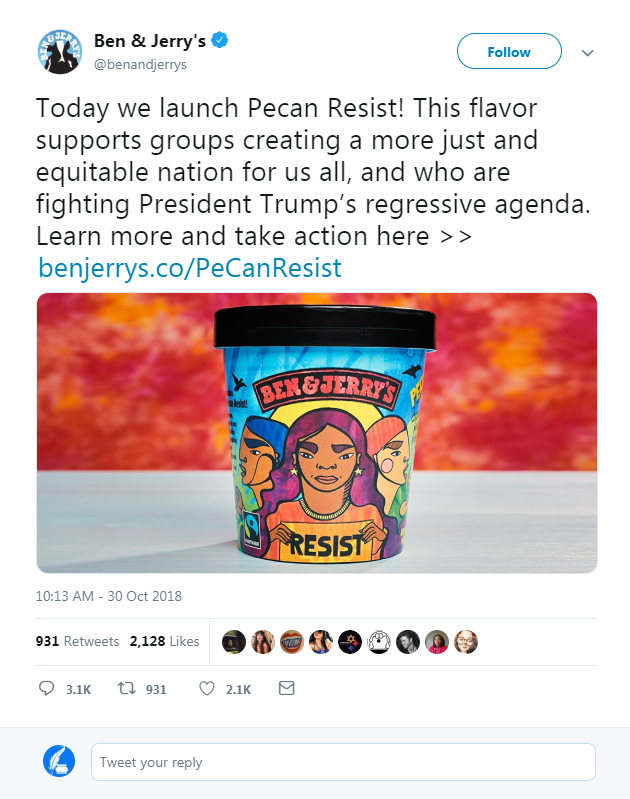 Introducing: Ben & Jerry's newest flavor: Resist! We got woke and went broke everybody! "Today Ben and Jerry's launches Pecan Resist with my art! This flavor supports social movement groups creating a more just and equitable nation for us all, and who are fighting President Trump's regressive agenda." which was then retweeted by Ben & Jerry's Twitter to show what kind of stance they take this highly charged topic politically. Well you have every right to spout your political beliefs. Again. I would like to state we have the ability to vote with our dollars. While the leftist may believe that they are a revolutionary figure resisting racism, it is in my humble opinion that they have the belief to create an authoritarian agenda. So if Ben & Jerry's wants to do something like this, let them. You just lost a customer and with anyone reading this article, I am certain you would see more customers lost. I will politely RESIST eating any more Ben & Jerry's now.